Hey Rox(ies)! I hope you are having a great week. I have something to make your week a little brighter and healthier. 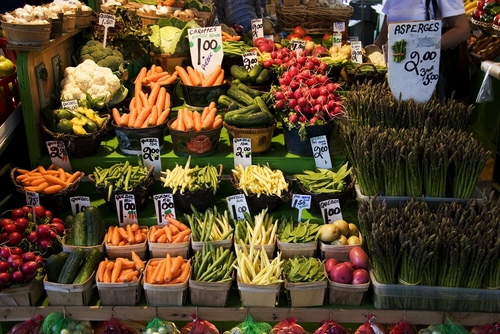 This week is national Farmer's Market Week (waaahooo). You know I simply adore fresh produce. Get out in your town and support you local farmer's market. The best thing about these markets are the freshness, prices and people. In my town we even make a festival of the whole experience. Make sure you get out and support. Also check out A&O Inspiration a great healthy living site!